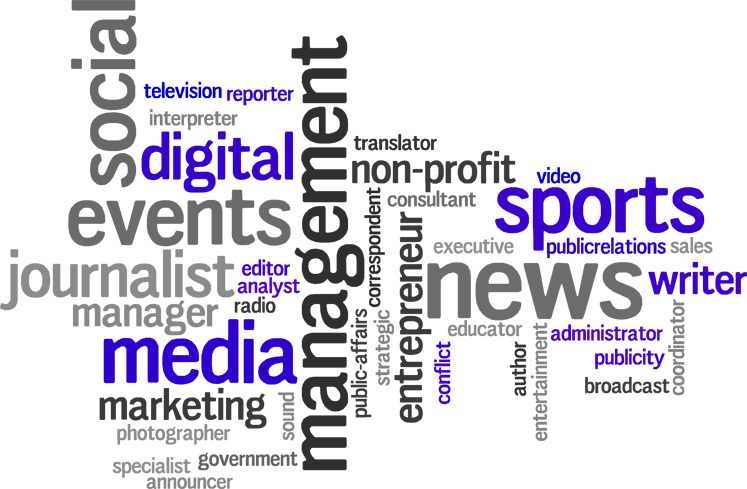 There are many different kinds of producers – media producers, event producers, corporate producers, etc. A good producer may be able to move between industries already: however, most producers will have a specialty in a single industry. This is especially true when expertise in a production capacity corresponds with expertise in a certain technical discipline. However, there is definitely an overarching philosophy that all producers must adhere to if they plan to be successful in their chosen industries. In all cases, the job description of a producer will include project management and leadership skills. Project management will be the more technically focused of the two skill sets. Leadership skills may be more difficult to quantify; however, they are definitely necessary in order to create a successful production in any industry. The job description of the product management side of a producer will most likely include references to industry-standard workflow programs that the producer must be proficient in. A producer will also need at least a basic knowledge of the linguistics that are used in that program in order to properly match the skill sets of others on the production to subtasks in the workflow. The leadership portion of a production job description will usually refer to the ability of a producer to manage many people at once in the pursuit of a common goal. Many productions will incorporate a technical building phase, a marketing phase and a distribution phase, all of which will usually fall upon the plate of the producer as project manager in some capacity. In short, a producer is someone who gets the job done. When someone hires a producer, that employer is looking for an individual who can start with a blueprint on paper and bring some sort of project or product into the real world. This product will usually be required to have some commercial value that the employer can sell to a third party or to the general public. This means that a producer must be cognizant of the audience that his or her employer is selling to while remaining proficient in the technical aspects of the production process. A producer has to be a marketer as well as an engineer. One or the other skill set does not end up with a viable product that can be sold; most employers who are looking for producers will require that a producer understand the audience to be sold to as well as the product to be made. Finally, a producer is a specialist in the product that is being produced. As stated before, the concept of production is a general one; however, in order to truly have a chance at being a noted producer in a single industry, you will need a great deal of experience in all aspects of that industry. It is said that no one ever goes to school to be a producer, but producers end up knowing more about the process of product creation within an industry than anyone who ever attended school for it. There is usually no clear path to being noted as a producer on a project. Some producers are no more than glorified investors who are looking for a little publicity with their name in the credits of the products. Other producers are much more in depth, managing the day-to-day workflow in the creation of the product. In order to become a producer, you need to understand your personal skill set, surround yourself with people who fill in the holes in that skill set and look for employers who are actually trying to sell what you are able to build. Another aspect of becoming a producer is becoming well-known to the employers in your industry. People need to understand that you have connections within your industry as well as technical expertise. Because there is no college degree that says “producer” on it, people will often look to experts within an industry to validate the credentials of someone who is showcasing him or herself as a producer. In most cases, these circles will be very closed off. A producer must find a way to infiltrate the circles and earn the trust of the people inside of it. Only then will the people with the money trust the producer enough to finance the production of a product to sell. There are usually no set requirements for a producer to call himself or herself a producer. As stated before, there are no college degrees that simply say “producer” on them. Some of the requirements for becoming a producer have been mentioned above me: however, a more comprehensive list will be presented here. Being a producer requires an in-depth technical knowledge of the industry in which the product created will be sold. Being a producer requires connections within the industry in which the product created will be sold. Being a producer requires access to the resources that can be used to build the product. These resources can be internal skills or they can be connections with other technically proficient individuals. However, keep in mind that lawyers are looking for cost-effective ways to hire a producer, and the more people on a production team, the higher the cost will usually be. Being a producer requires team management skills. Even if the producer comes into the employment situation as a single entity, he or she will definitely have to work with the employer in creating the product that the employer will be confident to sell. Being a producer requires experience in a certain industry. In most cases, producers will have to pay their dues as interns or as assistants to trusted producers until they are able to earn the respect of employers within the industry. The salary of a producer coincides with the amount of experience that producer brings to the table. The salary of a producer may also be contingent upon the value of the product that will be made. It is definitely possible for a producer to forgo an upfront salary in order to receive royalties off of the backend of a product; however, all of these details are discussed within individual agreements. If you want numbers, the median Producer salary is $70,000 annually. The lowest salary you might see is $35,000 but the highest is essentially unlimited depending on the circumstances. If you are looking to become a producer inside of a certain industry, you may be able to ascertain a market value for your skill set by looking into the amount of money that a producer with a similar skill set in the same industry was paid for the creation of a similar product in the recent past. This kind of knowledge will serve you well in salary negotiations. It is definitely a strength that the producer does not have a set salary; however, this is only an advantage if you can use this freedom to gain a profit from your skill set. Many producers will do well to note the expenses that they will incur for the creation of a product. With these expenses in hand, a better case can be made for a salary that will actually be profitable for the producer.